As a research officer at Paradigm Initiative, my daily work involves a number of interesting tasks. I lead research on Paradigm Initiative’s annual Digital Rights in Africa report, together with a network of researchers within our organisation and across the continent. I also produce policy briefs and blog posts and manage research partnerships with local, regional and international organisations. As a member of my organisation’s policy advocacy and communications teams, I’m also involved in policy advocacy and communications in defence of digital rights and inclusion across Africa. When internet shutdowns, arrests of citizens for exercising their rights online, digital rights/inclusion limiting policies or any other act or process violating digital rights/inclusion raise their ugly head anywhere in Africa and the world, I participate in teams which conduct advocacy visits and communications campaigns to challenge these actions. If you’ve also attended Paradigm Initiative’s Internet Freedom Forum (now Digital Rights and Inclusion Forum), then you’ll probably also know I’ve been part of the organising team delivering and managing one of Africa’s most prominent ICT policy events. Although I have become a relatively experienced professional in the media development sector, I have always had that need to take my knowledge, expertise and experience to another level through interaction with expert faculty and international networking opportunities. So when applications for the 2018 African School on Internet Governance (AfriSIG) were announced, I didn’t think too long before sending in my application. Thankfully, I received the good news that I was accepted to be a part of the 2018 class. AfriSIG, organised by the Association for Progressive Communications (APC) and the African Union Commission, has emerged as the leading platform for developing the next generation of internet governance professionals in Africa. In 2017, AfriSIG was awarded with the World Summit on the Information Society (WSIS) Prize for international and regional cooperation. AfriSIG’s importance can also be measured by the impact its alumni have made on the internet governance field in Africa. Luckily I have encountered a lot of AfriSIG alumni during the course of my work. Here I share my perception of the impact of two AfriSIG alumni, both of the 2016 class. 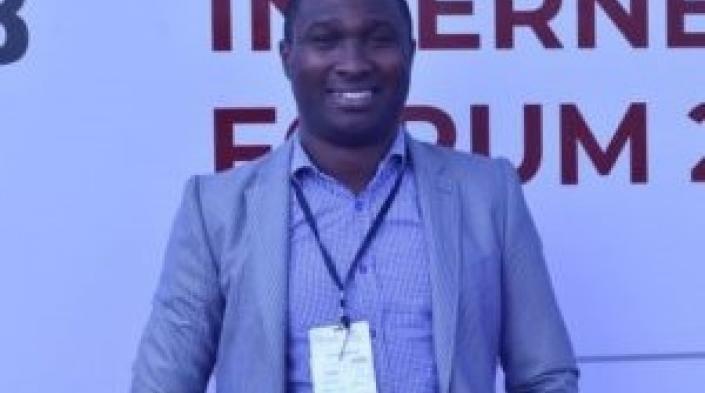 Adeboye Adegoke, then Paradigm Initiative Nigeria’s ICT policy manager for Nigeria, passed through AfriSIG 2016 to emerge to a bigger role as Paradigm Initiative’s (formerly Paradigm Initiative Nigeria) policy manager for Anglophone West Africa. Koliwe Majama, then policy officer at the Media Institute for Southern Africa Zimbabwe Chapter, transitioned to an impactful career as an independent consultant and as AfriSIG coordinator. As I pack my bags in October for AfriSIG 2018, I similarly look forward to the wonderful learning and networking experience that AfriSIG presents, and the chance to make a greater impact on internet governance in Africa. Babatunde (Tunde) Okunoye is Research Officer at Paradigm Initiative. He is in the organisation’s ICT policy advocacy and communications team which trains and campaigns against digital rights violations in Africa. He is also a member of the organizing team of the organisation’s Digital Rights and Inclusion Forum (formerly Internet Freedom Forum). 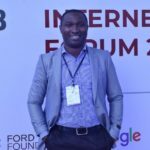 Tunde also moderates the NetRights Coalition, an important mailing group and coalition for digital policy in Africa. In his spare time Tunde loves reading and travelling. ← Call for applications for the Sixth African School on Internet Governance now open!